I attempted to climb Taraw Cliff in August 2015 and about 15 minutes into the hike, I quit. I kept thinking to myself, “I have two young children. I can’t die like this!” I’ve always been a thrill seeker — scuba diving, bungee jumping, skydiving… I was there! But this was the first time I quit something because it was just too dangerous (admittedly having children affected this!). Although many people have made it to the peak of Taraw Cliff successfully, no ropes or safety precautions are used, and one wrong slip can have catastrophic consequences. Last week a tour guide fell off the peak of Taraw Cliff trying to save the lives of a European couple who slipped just before they were about to be engaged. 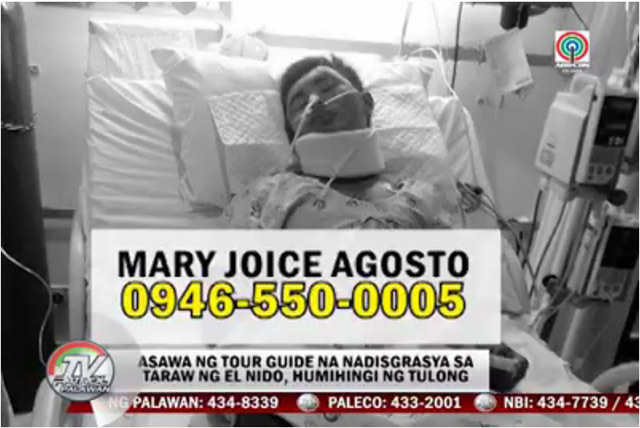 The guide is currently in a coma in a hospital in Puerto Princesa, and his family is requesting monetary assistance for his ongoing treatment. He is 22 years old and was married just last year. This is not the first Taraw Cliff injury, and there have been tourist fatalities in the past. We’ve always been very wary of this hike, and definitely cannot recommend it to anyone henceforth. We’ve donated money to his family and if you can help in any way, please text the number below to contact his wife Mary Joice Agosto. Deliberate Mary Joice office ABS-CBN Palawan to call on the assistance of the good within. She is married to vehicular tour guide Taraw the town of El Nido that Neler August, twenty two years old. A uno late February to talk to his wife, he allegedly told himself here with a tour but he did not think that it is the last day that she met her husband. Right now because it is still confined to the Intensive Care Unit or ICU. Because not yet awake, continues the evolution of the costs of her husband. According to the Municipal Tourism Officer of El Nido, said they advised the family to come to the August municipal DSWD for further financial assistance. But since it still has sufficient allegedly solicited donations of its fellow tour guide in El Nido. For any help on the Family August, may contact Mary Joice August number 0946-5500-005. They also request prayer that Neler wake up and continue that support from it. 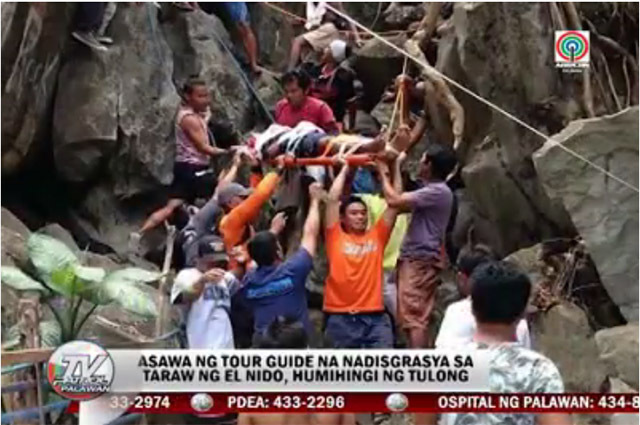 Our hearts go out to the to the tour guide’s family and hope that he is able to make a full recovery.